We play all year round with a variety of social games and competitions for Men, Ladies and Mixed Teams. Civvies are permitted for all play, except competitions when whites/club colours must be worn. Winter times affect afternoon games only, with games starting half hour earlier with effect 01 May each year until 31 August. Gone are the days of bowls being "old man's marbles". 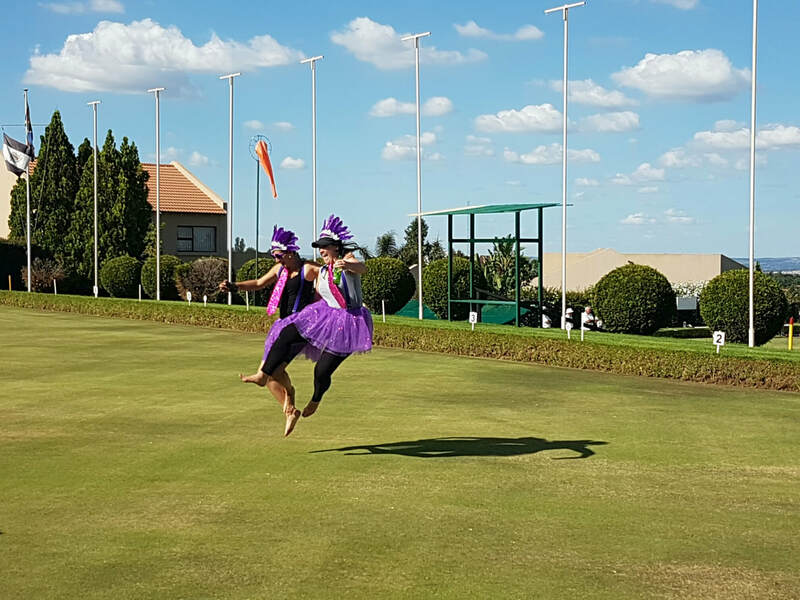 Lawn Bowls is truly a sport for people of all ages whether at recreational or competitive level. Competitively there are U19, U30, U35, Open & Seniors competition categories. Opportunities for those rising in the game include playing at District level or achieving Protea status and representing South Africa in international competition. The same applies for the physically disabled. And of course, there are those who just play at recreational level for camaraderie and sheer enjoyment of the game. 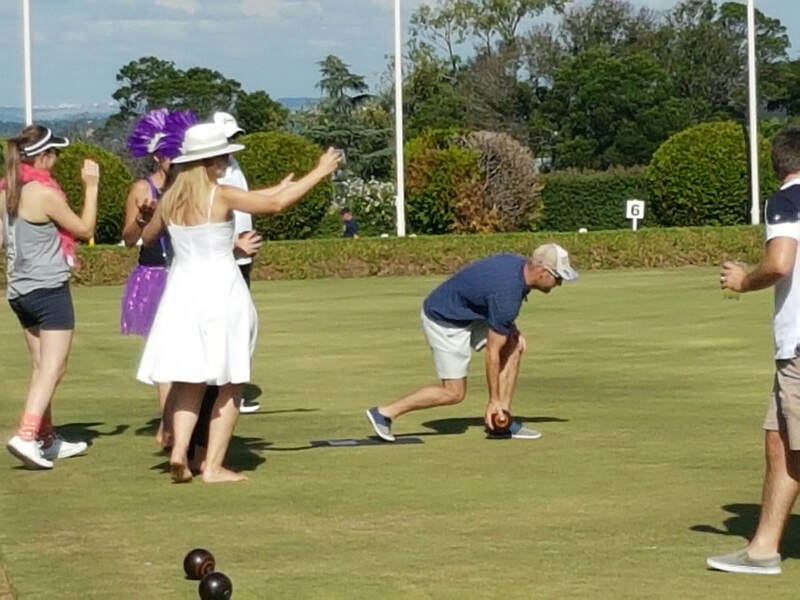 Lawn bowls is a precision sport in which the goal is to roll slightly asymmetrical balls (called bowls) closer to a smaller white ball (the ‘jack’) than your opponent is able to do. Bowls are weighted (designed with a bias) so they roll in a curve, not a straight line. Each bowl has a distinctive symbol or icon - a larger one on one side and a smaller on the other. The bowl will curve around in the direction of the smaller icon. This makes the game as lot trickier than meets the eye and bowlers often mistakenly set their bowl off into unintended directions! We have a team of committed coaches under Head Coach Shirley Young who are all available to teach you the game or to sort out delivery niggles for existing bowlers. To find out how to get started, what it involves, our membership rates, and how to contact our coaching team, click here. HBC greens are available for corporate team-building or for social group enjoyment. It's a lot more fun than you think and you could get hooked fast! Full bar facilities complete the offering. R 40.00 per player, bowls and play instruction provided if required. The HBC hall is available for hire for private functions - 21sts/50ths & all sorts of birthdays, anniversaries, stork/kitchen teas, year end functions, corporate team building, meetings etc. 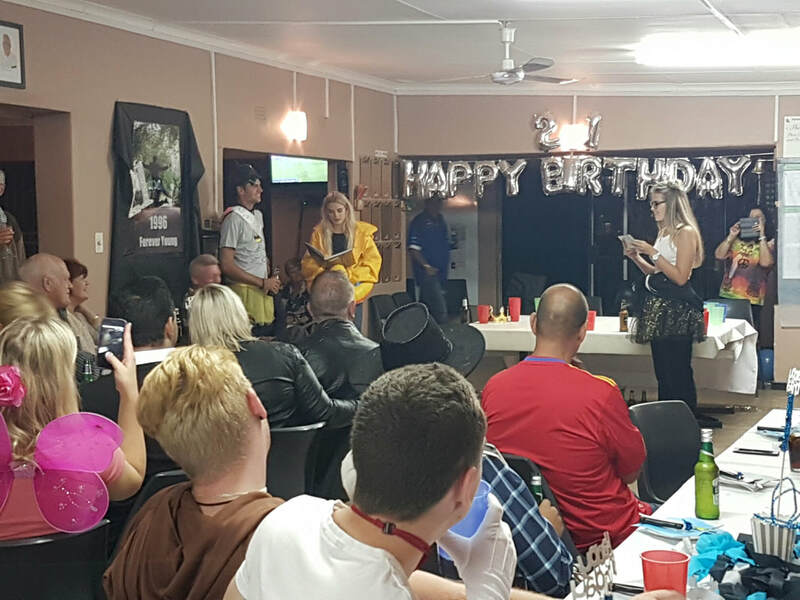 This includes use of tables and chairs, plates and cutlery, as well as access to full bar facilities, use of kitchen and/or braai units, and overhead projector if required.